We are born, we grow, we live. Each stage of our existence describes a unique algorithm. None equal to the other. You make choices, each choice corresponds to another stage and another choice. For school of thought, for opportunities, by pure chance. Many define it as a cycle (or mystery) of life. 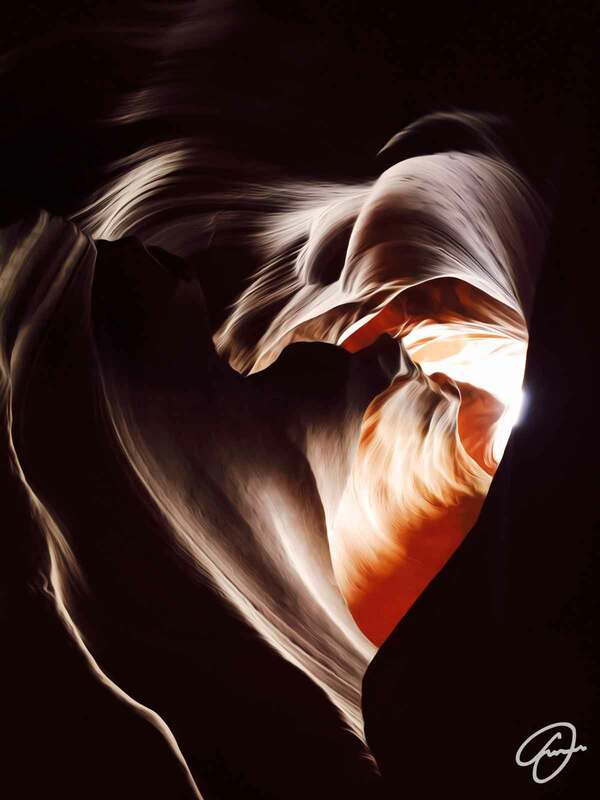 The Secret of Life is part of the series of hearts drawn from the ground, water, wind and sun in a cave in Arizona.